Once you get past the odd name, the Kisbee is Peugeot at its most sensible where scooters are concerned. 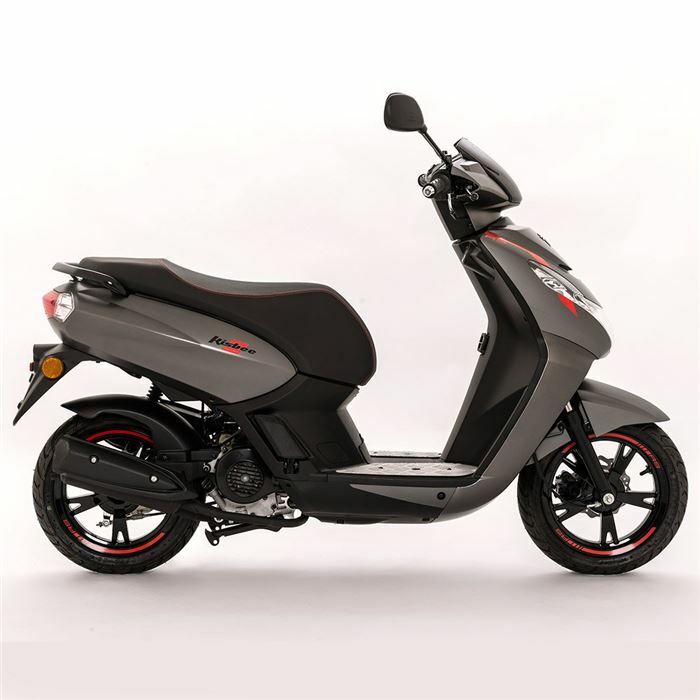 It’s a direct rival for many of the low-cost Chinese scooters that are so readily available as well as the likes of the more expensive Honda Vision 50 and Yamaha Neo. 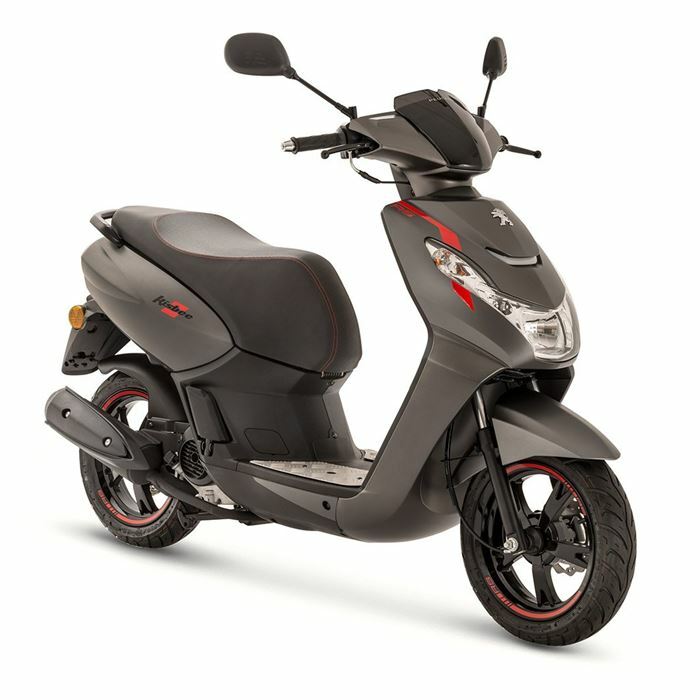 Just because the Peugeot splits these competitors on price does not mean it compromises in any key area that matters to someone buying a learner-legal scooter on an AM licence. Quite the opposite applies in the case of the Kisbee as it comes with styling that’s á la mode enough so that yoofs won’t be embarrassed to turn up to school, college or the local fried chicken emporium. But it’s also sufficiently restrained for commuters to nip through town without looking like they pinched their kid’s moped. That stuff matters and it’s why the Kisbee has built up a large following and earns its place as one the best-selling 50cc scooters in the UK. There are plenty of other factors in this high ranking on the sales chart, such as the broad streak of excellent build quality that runs throughout this French machine. Poke around behind the plastics, under the seat and below where the engine and transmission live and you’ll find lots of neatly returned edges. All of the fixings and materials have a look and feel that says they’ll last more than the length of the two-year, unlimited mileage warranty. 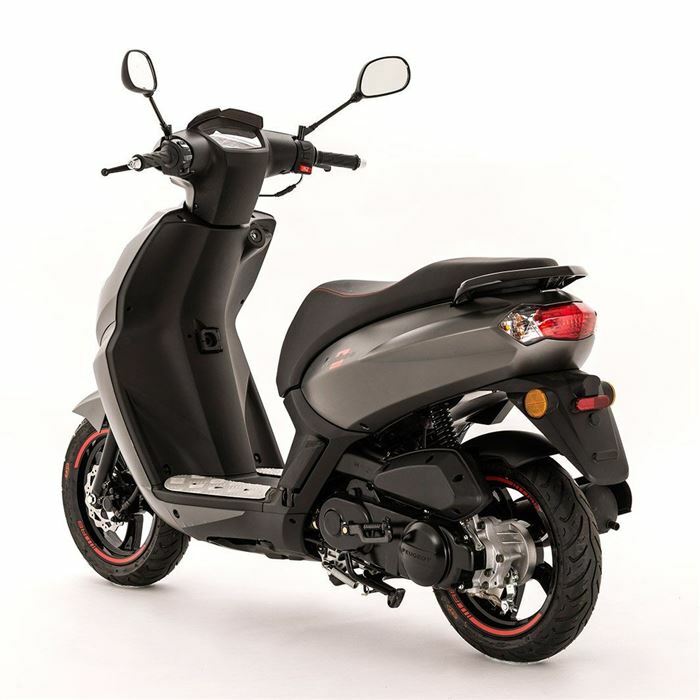 While most learners will likely graduate onto something with more power and performance than the Kisbee, it’s a 50cc scooter you could potentially live with for longer. 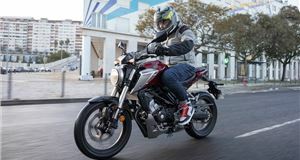 This is due to the four-stroke engine offering up a giddy 4.0PS and 4.2Nm of torque, which places it ahead of most of the opposition in the power stakes. Although these advantages are small, they are significant too when you only have 50cc to play with. So, the Kisbee feels much livelier off the mark and more willing to drive forward when the rider twists the throttle. 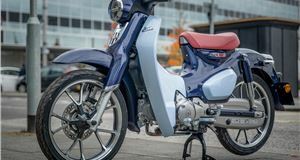 It also feels like there are fewer losses through the continuously variable transmission than with some other small capacity scooters. Much of this spritely behaviour is down to the revised engine that now meets EU4 emissions regulations. There’s a new piston and lighter con-rod, as well as a carburettor with heater, so no fluffing in cold weather or endless churning before the motor catches when all you want to do is get to work. On top of all this practical stuff, Peugeot says the Kisbee’s engine is now around 30% cleaner than its two-stroke competition, which can only be a good thing when so much focus is on what comes out of vehicles exhausts in and around cities. When you add in the Kisbee’s claimed average economy of 108.4mpg, which we found equated to a real-world 100mpg as we made full use of the performance, it’s as cheap to run as most rivals. 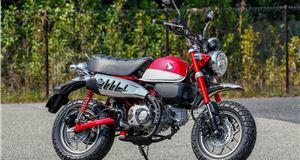 Equally pleasing to our miserly side is the 6.8-litre fuel tank that has a markedly larger volume than almost any other scooter in this class. We’ll save you taking your shoes and socks off to do the arithmetic and tell you that means a potential range of 282 miles between fill-ups. As this is very much a city-bound scooter, that could easily be almost a month’s worth of riding on a single tank. You may well end up visiting the petrol station sooner because the Kisbee is fun to ride. Unlike the Honda Vision that majors on ease of use to the exclusion of almost everything else, the Peugeot manages to mix practicality with a dash od joie de vivre, if you’ll pardon our French. 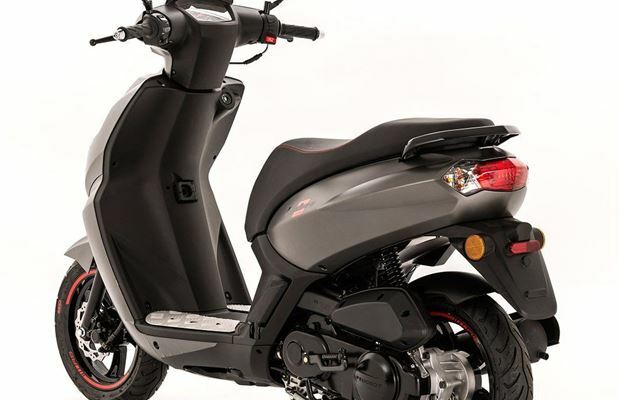 Head into town on the Kisbee and its light weight and 12-inch wheels let you place it with precision and the turning circle is more than up to filtering through dense traffic. It feels more stable than other scooters with the same size of wheels and is certainly better at sponging up cratered streets than competitors with 10-inch wheels. There’s also better damping from the front forks and rear shock absorber, so the Peugeot comes across as a very competent machine either solo or two-up. The mirrors only stick out slightly more than the bar ends, though not to the detriment of rearward vision. This allows the Kisbee to zap past queues of traffic more readily than larger scooters and bikes, and so fulfilling its role as ideal urban transport. 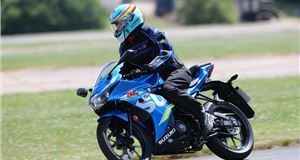 A well stuffed seat cushion further helps distance the rider’s backside from the trauma of poorly kept roads, though the shape of the saddle tends to lock the rider into one position. 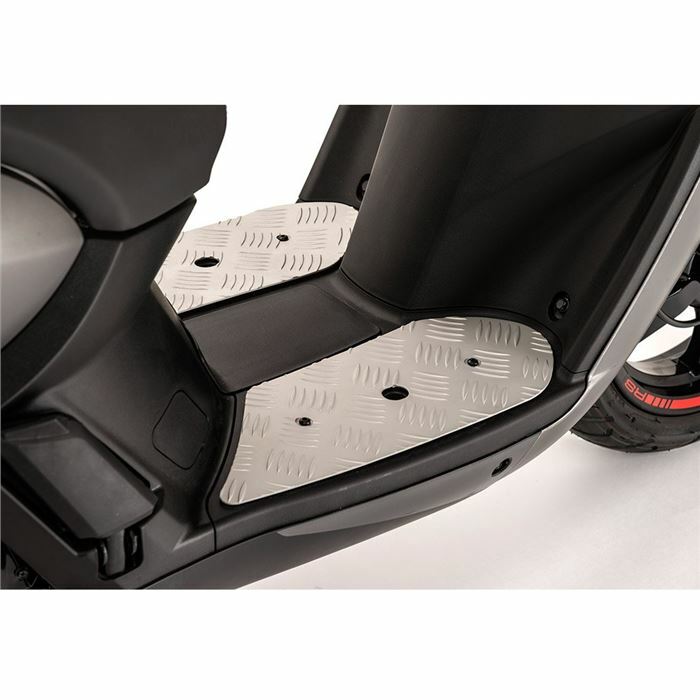 That’s not the disaster it could be as the Peugeot’s foot board is wide and flat, so you can shuffle your boots around to stay comfy. This space also allows you to carry bags more easily than on some others and the Kisbee comes with a pair of bag hooks. 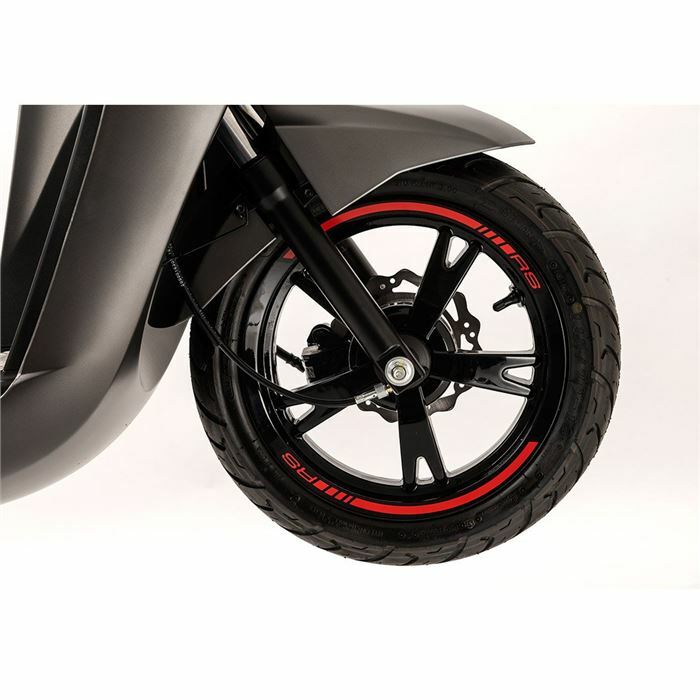 As for stopping, the disc front and drum rear set-up works smoothly and progressively. 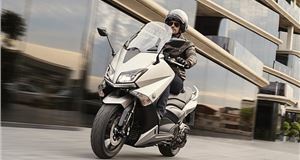 The tyres offer good grip in all conditions and even with a pillion on the back we found its pulled up smartly and without drama. At night, the headlight sends out a clear, bright spread of illumination, adding to the confidence you feel when riding this scooter. Rounding off the Kisbee’s impressive showing during our time with it is an underseat bin big enough for a full-face helmet. However, there’s only a centre stand included in the list price, so you have to pay extra for the kick stand. You might also consider the front screen, top box and leg cover. Tick the boxes for that lot and you have one of the very best 50cc scooters in the game and all for less than the price of a basic Honda Vision. One nil to Peugeot, then. Top speed 35mph. Fuel consumption 108.6mpg (claimed). VED £18.